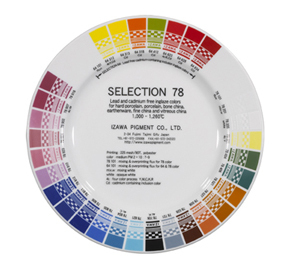 SELECTION 78 colors are unleaded inglaze colors for porcelain, bone china, chemical bone china and stoneware. 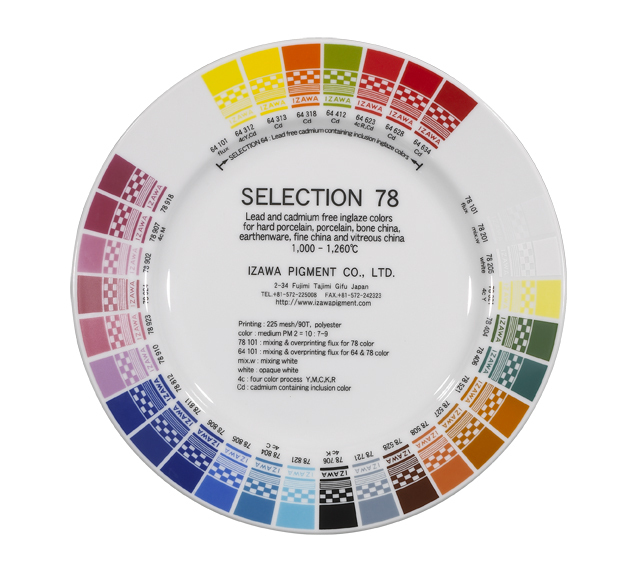 SELECTION 78 colors are technically lead and cadmium free（exception the item code that started with "62" that contained Pb）, with no more than 0.1% lead and 0.03% cadmium due to contamination on production. SELECTION 78 gold containing colors was developed using advance technology and which have the following advantages. They are intense, vivid and have wide range of color tone. They are very stable in high temperature firing up to 1,230C. They have a high degree of transparency and clarity. 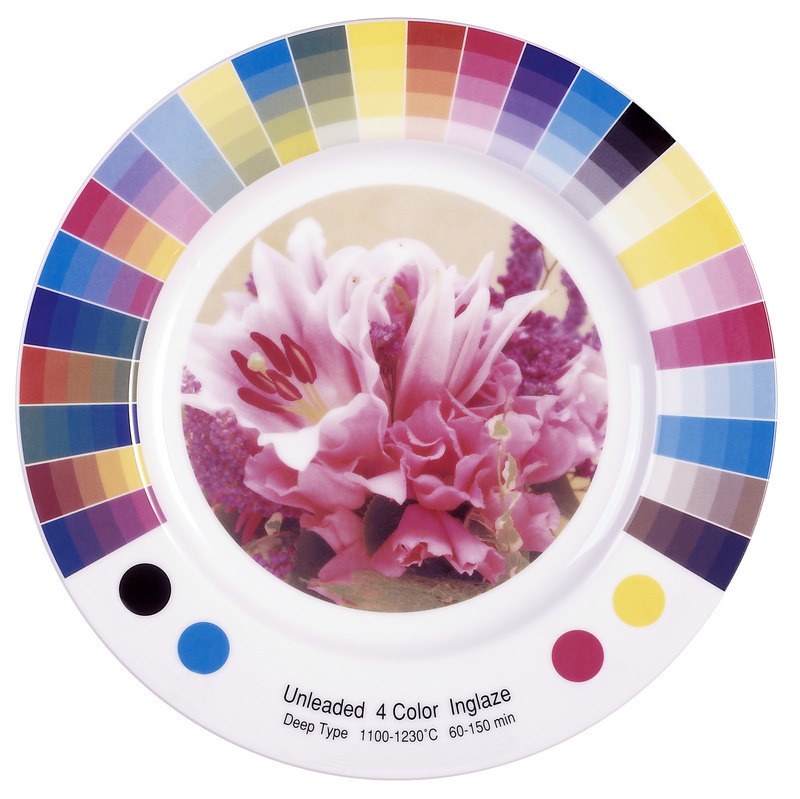 They can be used as magenta and can improve four-color printing. Selection 78 series is suitable for screen transfer printing; direct printing, spraying, pad printing and hand painting. Recommend mesh sizes are 180-300 mesh（71-120T）for all screen applications. Selection 78 colors can be mixed with each other in any proportions basically. To obtain pastel color tone 78201 white is suitable. 78101 flux is suitable for mixing and overprinting. Overprinting 78101 flux can improve color stability in high firing temperature. To determine the proper four colors, we recommend testing under your firing conditions. To lighten colors, 78101 flux is recommended mixing with four color. Overprinting 78101 Flux does not change color tone and can improve color stability in high firing temperature. Recommend mesh sizes are 250-300 mesh（100-120T）for four-color process. SELECTION 78 colors show no lead and cadmium release after immersion in a 4% acetic acid solution for 24 hours at room temperature. SELECTION 78 colors show no visible attack after immersion in a 3% hydrochloric acid solution for 6 hours at room. SELECTION 78 colors show no visible attack after immersion in a 0.5% calgonite solution for 24 hours at 90℃.